We write on behalf of the Middle East Studies Association (MESA) of North America and its Committee on Academic Freedom to express our deep concern about the Council of Higher Education’s (YÖK) steps to prevent scholars based in Turkey from participating in a conference in Berlin entitled “Past in the Present: European Approaches to the Armenian Genocide.” We consider this action to be an assault on the academic freedom of scholars in Turkey and a disturbing new instance of a broader trend of stifling scholarship on topics deemed taboo by your government. The Workshop on Armenian Turkish Scholarship (WATS) is an academic workshop series that was founded by the University of Michigan in 2000 as the “first forum where Turkish, Armenian and other historians could conduct an informed debate” relating to the controversy surrounding the relocation of Ottoman Armenians during World War One. The latest workshop in this series is scheduled to take place on 15-18 September at the European Academy Berlin and is being co-organized by the University of Michigan, USC Dornsife Institute of Armenian Studies and Lepsiushaus Potsdam, under the auspices of Dr. Martina Münch, Minister for Science, Research and Culture of the State of Brandenburg. The topic of the conference has come under sustained attack by ultra-nationalist political leaders in Turkey. Doğu Perinçek, the head of the ultra-nationalist “Vatan Partisi,” and a long-time denier of the Armenian Genocide in the international arena, declared that the conference will “serve imperialism and the interests of Kurdistan,” the latter of which he has termed “the second Israel.” Following Perinçek’s denunciation of the workshop, the event was targeted in a broad campaign by right wing, nationalist and pro-government media in Turkey. Perinçek has threatened to go to Berlin on 14 September, to join the workshop, provide his own “presentation” (despite not being an invited participant) on what he deems to be the “truth” of the events of 1915. As part of his broader campaign against the conference, Perinçek brought the topic and list of participants to the attention of YOK, which subsequently rescinded permission for Turkey-based academics to travel to the conference. In addition, ultra-nationalist Turkish diaspora organizations, in apparent coordination with Perinçek’s party, have mobilized against the conference and are threatening a show of force at the Lepsuishaus, the main organizer of the event in Germany. No doubt, anyone who attends the conference is at risk of being filmed/photographed, blacklisted, and hounded by social media trolls in Turkey. The smear campaign led by the daily Aydınlık, associated with Perinçek and his party, targets the private Koç and Sabancı Universities and accuses especially the latter of treason. The atmosphere of intimidation and threats has grown so alarming that the cancellation of the conference is being considered. We strongly condemn the private and public harassment of academics for their planned participation in this conference and call on YÖK to immediately reverse its policy of preventing academics from traveling from Turkey to attend the conference. 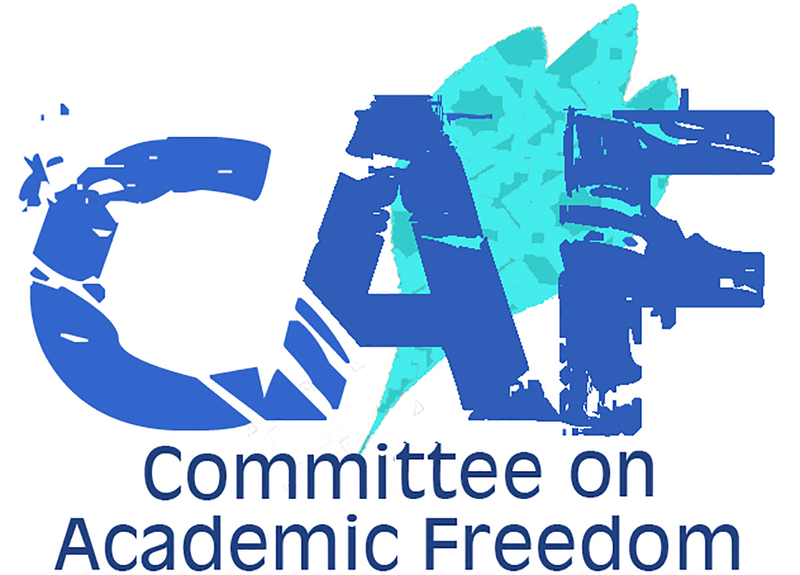 The conduct of independent research and the presentation of research findings at academic meetings are, of course, fundamental to academic freedom. Targeting academics on the grounds that their research findings are not in line with the official government position on a matter of historical significance and banning academics from presenting their findings at conferences are clear violations of academic freedom. Such violations of academic freedom by Turkish authorities are all the more disturbing when considered in light of Turkey’s reputation, until recently, of aspiring to maintain a standard of protection of civil and political rights in keeping with the European Convention of Human Rights. The events surrounding the WATS conference in Berlin represent another depressing instance of your government’s failure to respect basic human rights’ protections under Turkish law despite Turkey’s clear international obligations. As a member state of the Council of Europe and a signatory of the European Convention for the Protection of Human Rights and Fundamental Freedoms, Turkey is required to protect freedom of thought, expression and assembly. Turkey is also a signatory to the Universal Declaration of Human Rights, the International Covenant on Civil and Political Rights, and the Final Act of the Conference on Security and Cooperation in Europe (OSCE), all of which protect the rights to freedom of expression and association, which are at the heart of academic freedom. Moreover, the rights being trampled in these actions are enshrined in articles 25-27 of the Turkish Constitution. We urge your government to take all necessary steps to reverse the decision taken by YÖK and restore the right of Turkish academics to travel to the Berlin conference and other international scholarly meetings to present their findings. In the aftermath of the 16 April referendum, your government has an opportunity to restore confidence in its commitment to democratic rights and freedoms by taking steps to protect academic freedom, right to education, freedom of expression and freedom of association.